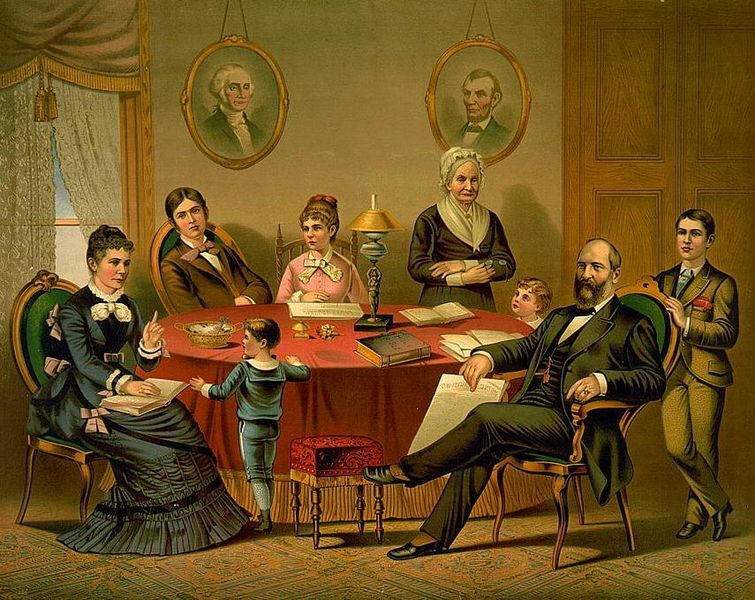 James A. Garfield was born on November 19, 1831, in a log cabin in Orange Township. His father passed away when he was only 18 months old, leaving his mother to fend for herself and her family. Garfield started working at an early age to try to keep his family out of poverty. His first job--working on the Ohio Canal--was only the beginning. During his lifetime, the hardworking Garfield ably filled a number of positions and jobs. 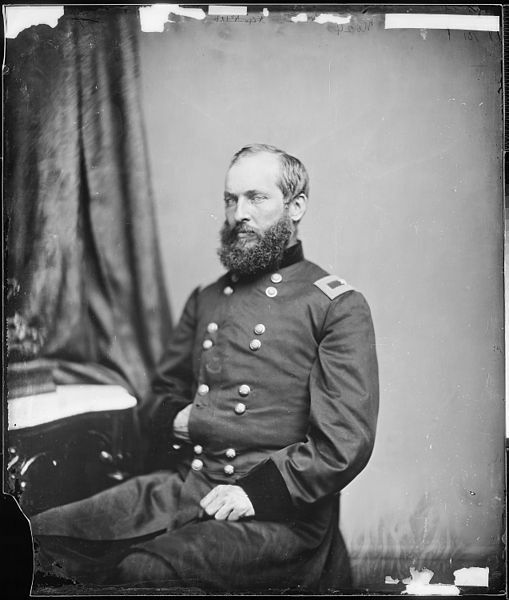 Among his many occupations, he served as a minister, lawyer, war hero and general in the volunteer Union Army, president of Hiram College, Republican state representative and senator, and finally the President of the United States of America. Marking the pinnacle of Garfield's achievements in terms of position, his presidency lasted only 200 days. It is the second shortest presidency in U.S. history (only "beaten" by William Henry Harrison who died of pneumonia-related causes on his 32nd day in office). 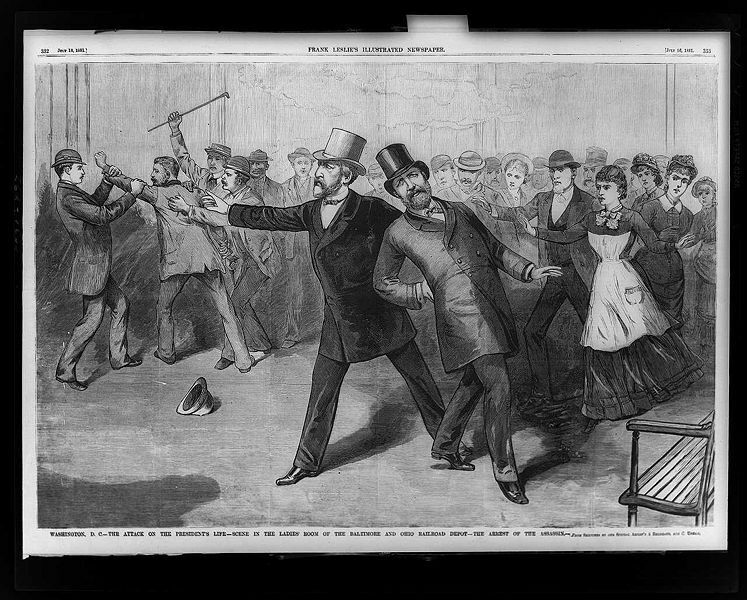 It spanned from March 4 to Sept. 19, 1881, when he died from a gunshot wound inflicted by his assassin Charles J. Guiteau. 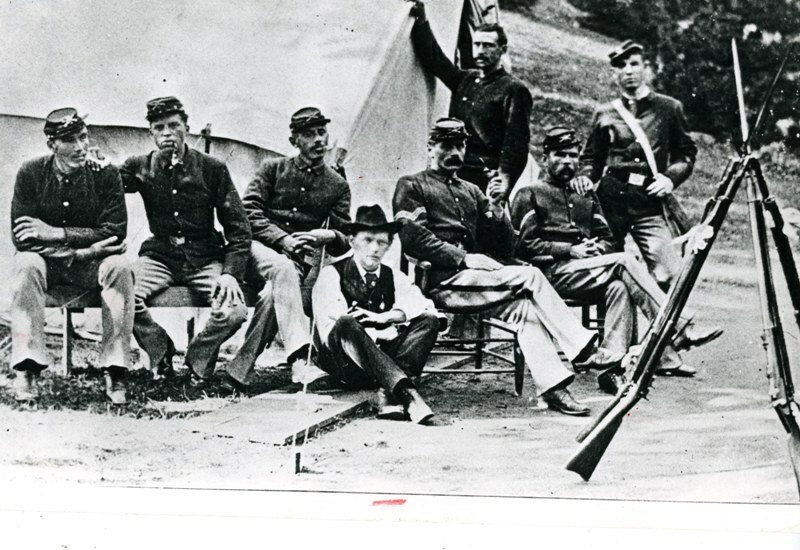 A committee was formed for the memorial of Ohio's third President. 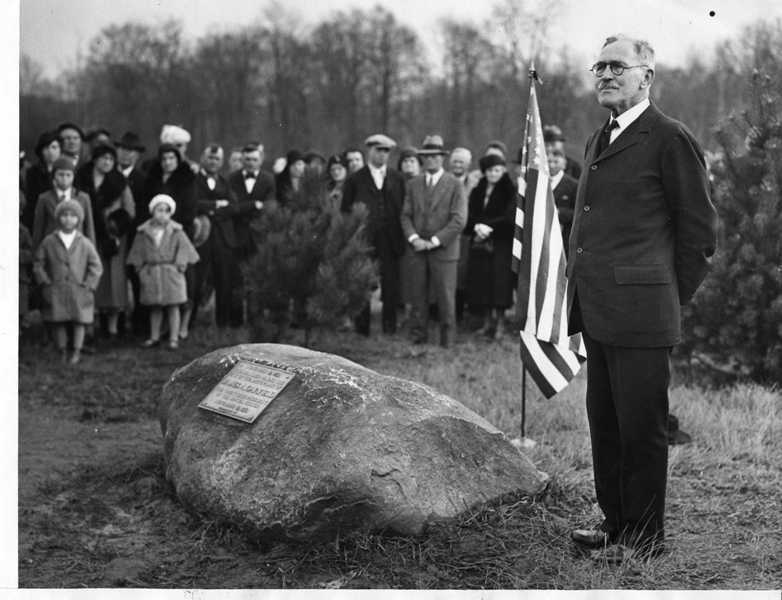 J. H. Wade was its president, and many other notable citizens were involved as well, including Rutherford B. Hayes and John D. Rockefeller. They wanted to build a structure that would do justice to the nation's slain hero. An international competition was held for artists and architects to compete for the task and honor of designing the memorial. For that reason, a notice was sent throughout the U.S., England, Germany, Italy, and France. In the end, the job was awarded to George Keller of Hartford, Connecticut, as the committee favored his design. 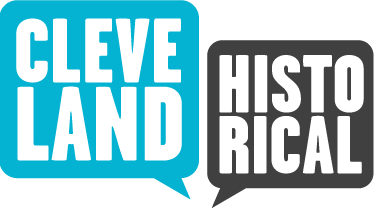 Construction of the 180-foot-tall memorial began in Cleveland's Lake View Cemetery on October 6, 1885. The tomb of President Garfield is located inside the memorial. It is entered through the portico from a terrace. There are five bas-reliefs inside the memorial, with more than 108 life-size figures, showing Garfield in the role of schoolteacher, statesman, and president. Sculpture work inside of the tomb is by Casper Buberl. 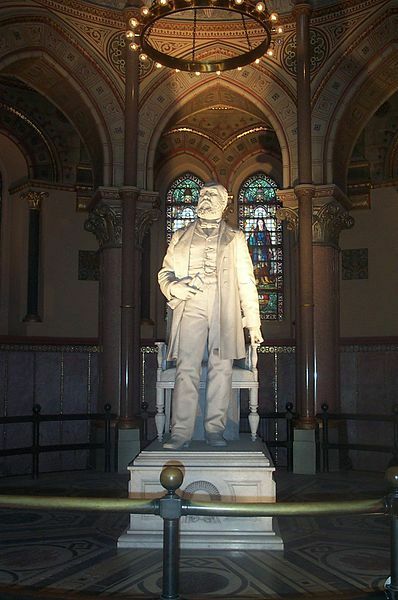 The statue of Garfield, prominently displaced in the center of the circular chapel, is the creation of Alexander Doyle. The marble used by Doyle was taken from the famous quarries near Carrara, Italy, which were first opened by Leonardo da Vinci. An interesting detail was revealed in an interview with the architect George Keller. Keller told that the five bas-reliefs show some famous Americans. There are depictions of Chief Justice Waite, General Sherman, ex-President Rutherford B. Hayes, Chester Arthur, John A. Logan, Carl Schurz, James G. Blaine, and many others. The sculptor Buberl had also included depictions of himself, the architect, the sculptor's assistant, and even the foreman of the plaster casters of Perth Amboy Terra Cotta works. Furthermore, on the interior in the mosaic frieze, the artist Mr. Lonsdale had introduced a portrait of the architect's infant daughter. These little details were obviously introduced unobtrusively. In 1984, the Memorial was closed for major restorations including repairing the walls, floors and roof in addition to restoring the stained glass windows. The cemetery received a $500,000 federal grant to help pay for the restoration work. 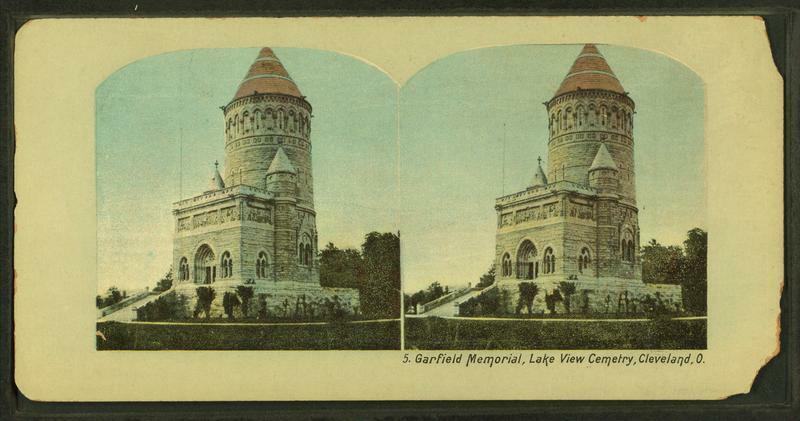 The work was completed, and on Memorial Day in 1985, 104 years after the original dedication, the Garfield Memorial was rededicated and opened to the public once more. The Garfield Memorial: The main building of the Garfield Memorial is a 198 feet tall circular tower, 50 feet in diameter, made of rough faced stones. Near the cornice, 16 windows wrap all the way around the tower, reaching up to a cone-shaped roof that caps the structure. The Memorial also has 2 smaller cone-shaped towers that capping the portico. Image courtesy of New York Public Library. Digital Library. Robert N. Dennis collection of stereoscopic views. 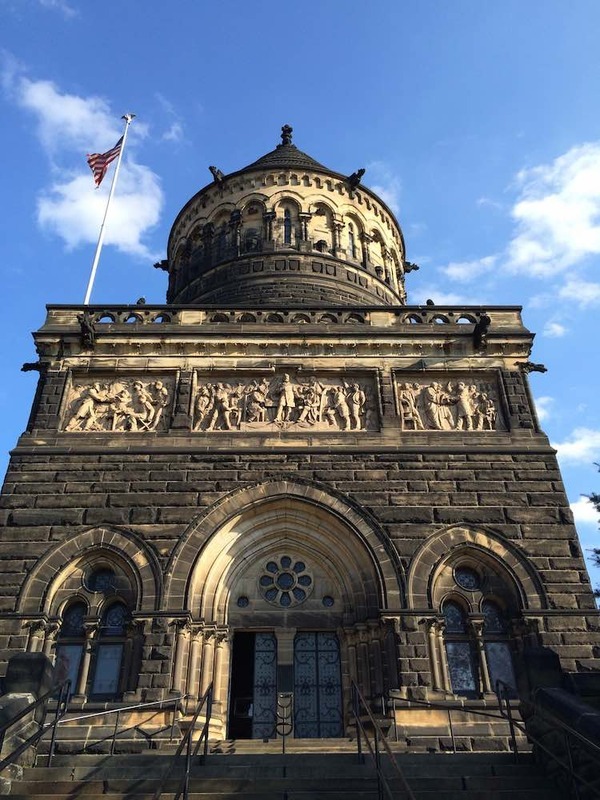 Ashley Hardison, “James A. Garfield Memorial,” Cleveland Historical, accessed April 23, 2019, https://clevelandhistorical.org/items/show/400. Published on Jan 24, 2012. Last updated on Apr 18, 2017.